McFarlane Toys HALO Reach Spartan Mark VI (Translucent) "Specter 3-Pack"
Spartan Mark VI is in near mint to mint condition with no play wear. Spartan Mark VI (Translucent). I will do the rest for you. This is very important! Good for Collection & GeGeGe No Kitaro Fans. It appeared "Judah Spector" in Ultra Monster 500 Series! Ultra Eve corresponding! ST mark acquisition goods. units / one. (C) Tsuburaya. product code / 4543112944368. Up for sale is from 2008, GI Joe 25th Anniversary Target Excllusives, "A.W.E. STRIKER,COBRA H.I.S.S.&NIGHT SPECTER ". But boxes have rubs and creases with top of "Cobra H.I.S.S." box has knife cut. For Ages 5 . Deep Slasher. I live in Akihabara. (take 2-4 weeks). (take 4-8 weeks). Set contents (take 1-2 weeks). 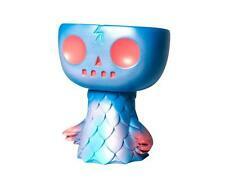 This is from Super7's Monster Family Series and released at the 2016 NYCC. Make Supersized Seem Small. This item is very clean and has been examined thoroughly. Includes: Complete figure with shotgun and 1 connector pin. Size: 5.25". Condition: New; on original plastic tray, will be removed from the box right before shipping. 100% guaranteed to be received as listed. This is the Target Exclusive. It appeared DX specter watch U prototype of the next-generation update type! Age: 6 years and older. target 6 years of age ~. [ Other Carrier ]. [ Country of Manufacture ]. Expdited --- EMS. units / one. Night Specter 25th Anniversary G.I. JOE item New and Sealed on Card or in Box. Item is in great shape with no major condition issues unless otherwise stated. DX Deep Specter Eyecon. Complete with box and all parts. Our goal is to provide the best service possible. Manufacturer: BANDAI. 14.5cm Tall. Size: About. Material: PVC Fully Painted. 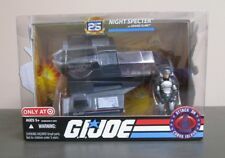 Here we have a Gi Joe Target Exclusive 25th anniversary vehicle Night Specter. No13 Desert Eagle 50AE Magazine gas blowback gun for Does not apply. All my products are 100% Authentic ! Contents : Night Specter with Grand Slam. Condition : New in Box with slight bowing. See the pictures for what is included and the condition. Take a look to see what you're missing. Bandai Saint Seiya Cloth Myth EX Wyvern Rhadamanthys. Hello Everyone! Surplice Specter a. The picture you see is exactly the item you get! Saint Seiya Fans must collect them all. Don't miss this chance! SEALED in amazing shape Hasbro G.i joe 25th Anniversary night Spector with Grandslam. 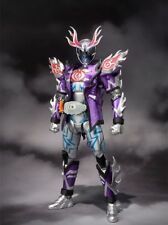 S.H.Figuarts Masked Rider Deep Spector. �¡Product weight : 499 g. �¡Condition : NEW. One (1) Black Combat Boots Peg Type. They are NOT BIG enough for children. HE NSH IN ! Original product from. Yokai-watch specter Gerapopurasu reprint! Youkai guerepoplus reprint! Appeared in Chapter 1 the explanation file! Age group: 6 years and over. Manufacturer suggested age:: 6 years. The gender: Unisex. And Emma Great, Jao weapon of Kyra coalescence strongest of Emma item dragon Pressing the birth button barking rolling in the wake blitz set includes! DX darkness Emma Ma chin Ã— 1, å¦–è�– sword Ã— 2 single 4 Ã— 2 (separate). NIGHT SPECTER WITH GRAND SLAM. GI JOE ATTACK ON COBRA ISLAND. NEW IN SEALED BOX. Specter watch specter watch shadow side monster picture book Trump Japan new . The plug type in Japan is type A. All Japanese electric machineries operate at 95V-105 V (50Hz-60 Hz). Most of my products follow the Japanese electrical standard. Item Image. Is there any thing in which you are needed at an item of Japan?. NIGHT SPECTER WITH GRAND SLAM . GI JOE . 100% COMPLETE IN AN UNOPENED FACTORY BOX, BOX HAS MINOR SHELF WEAR. A GREATYDISPLAY PIECE .